I noted with some fascination the annual terrorizing of little children by a loud, aggressive man in a red and white suit. (yes, I mean Santa Claus) This wonderful, jolly, happy icon of Christmas is supposedly the sweetest mythical human being on the face of the planet, yet many children are absolutely horrified by his physical presence. Children wait to “meet Santa,” then shriek in terror and run away. It would be funny if it weren’t so sad. 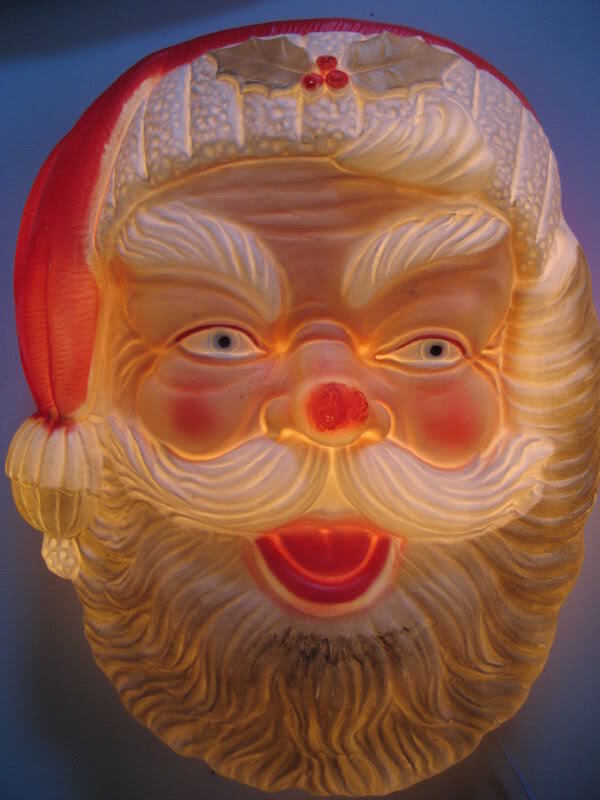 Whenever I see a child afraid of Santa, I think of one Tennessee Claus a few years back that defines for me “scary.” I stopped at one of those roadside novelty dives — located about every three miles across the entire state of Tennessee — where cheap knickknacks and discount tobacco products fills the shelves. At one particular site near Oak Ridge I saw a Santa to give nightmares for years — a tall, spindly, snaggle-toothed figure with a glass eye and a badly stained suit and beard. He wreaked of cigarette smoke and his voice was loud and gruff and he actively chased children and forced them to sit on his lap. Little children were screaming and hysterical, parents were pulling their children away, and Santa was cackling and slapping his knee each time another child broke into tears. In a very real sense, this guy was Satan Claus, not Santa Claus. How does this happen? How can a beloved figure become such a source of discomfort? Even in the best of times, a large, loud, blustery stranger is going to make many kids nervous. But in the past few years, the kind of Santas provided makes it even worse. An article from Primedia shared some interesting data. There are almost 250,000 Santas employed each year in the U.S. The majority of these are unemployed people picking up a year-end gig. The majority receive no training, and they are responsible to obtain their own costume and accessories. In other words, we want all the benefits of Santa with none of the costs. To serve as Santa is not so much an honor as it is a last resort. For good or ill, this impacts the quality of the experience for everyone involved. This mentality pervades much of our modern American culture. We settle. We allow ourselves to be defined by the lowest common denominator. We get by. We go “cheap.” We become, by default and definition, second-rate. (This is not meant to be offensive or insensitive to temporary Santas. I’m not picking on anyone needing to find whatever employment they can. I’m shifting focus here to us — the church.) The number one complaint of non-churchgoing Christians is the sense of phoniness and inauthenticity encountered in our churches. We are often seen as superficial and providing an inferior experience. We are perceived as trying to be something we’re not. We come off looking cheap, shoddy, and downright scary — like a slightly stained and manic Santa. What non-churchgoing Christians appreciate most is authenticity. Most are willing to sacrifice a certain level of quality and polish if what is done is done with integrity. Second-rate entertainment values are a huge turn-off. A sincere musical offering from a church member is preferred to an American Idol wannabe wailing and moaning. The majority of non-church attending Christians prefer a well-told story to a video clip or short play. Eight-out-of-nine would rather hear the scripture read rather than see it performed badly — and most report that they only see it performed badly. When church becomes a show, it had better be the real deal or people will run for the doors. For most non-church-attending Christians, much of what we do has all the charm of my Tennessee Santa. So what do we do? We get real. We stop trying to be something we’re not, but instead try to become the best that we are. We stop looking to see what other churches are doing and we start asking what God wants us to do. We listen to people and find out what most helps them connect to God and growth in their faith. We find out what makes worship worth attending, what makes a small group attractive to serious disciples, and what motivates people to get up and serve others. We make sure that our public face is one that honors and glorifies God in all ways. We realize that unless what we do is an authentic representation of who we are, we are likely to turn off more people than we can ever attract. In the Green Hills mall in Nashville, Tennessee a few years ago, a kind, gentle man with a real beard, a sweet smile, and a calm demeanor donned a Santa costume and sat on his throne waiting to greet children. He sat back, relaxed, made no sudden moves, kept his voice hearty, but quiet, and he allowed the children to make the first move. Everything about this man gave one reason to wonder if maybe he was the real deal. This was a Santa who cared about the kids, and made their experience positive and memorable for all the right reasons. There was not a false note nor a phony move in his repertoire. Would that our churches could learn his lesson — we might find people lining up to spend time with us. As one who has, in the past, been able to don the role of St. Nick I totally agree with your perception of what most young ones see. And for us, the Church, to also settle for a cheap imitation of the Gospel presentation is just plain wrong as well. Very well said. Santa no longer exists in our church parties because there is also that other certain reality: we cannot be all things to all people. We are who we are, and we should not feel compelled to apologize … except maybe to be sorry for those for whom Christ has no place in their lives.